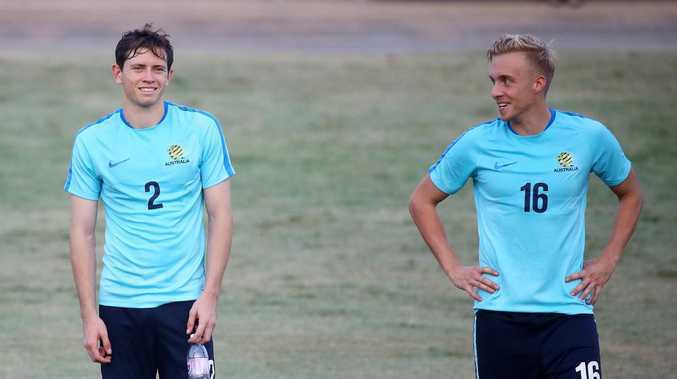 James Jeggo, right, is back in the Socceroos squad for the first time in 12 months, while the in-form Craig Goodwin has been named as a "train-on player". SOCCEROOS boss Graham Arnold has named a 23-man squad to take on South Korea in Brisbane next week, with an additional four players selected as "train-on" additions to the group. 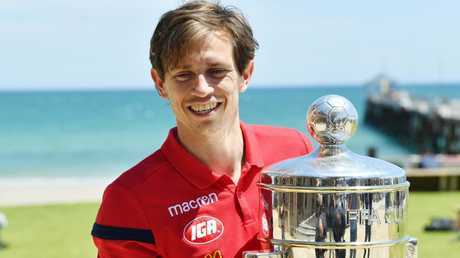 Austria-based midfielder James Jeggo is a surprise addition and will be looking to grab his first senior cap, despite making a number of squads under Ange Postecoglou. The FK Austria Wien star last appeared in an Aussie squad in October last year. 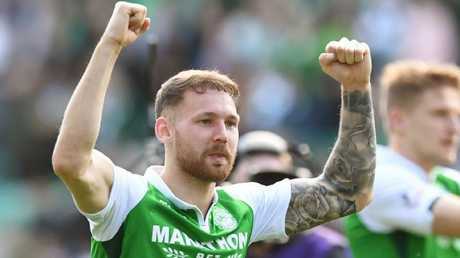 Meanwhile, Hibernian forward Martin Boyle has been included again and is now eligible to take to the field after receiving his international clearance. Club teammate Jamie Maclaren is also back in the mix, in what lead to a shake-up in the striker position. The additional four train-on players all hail from A-League clubs, with Craig Goodwin (Adelaide), Rhyan Grant (Sydney FC), Dimi Petratos (Newcastle) and Thomas Deng (Victory) all rewarded for strong early season form. Craig Goodwin of United has been named as a "train-on player". Andrew Nabbout rejoins the group after recovering from a shoulder injury, sustained at the World Cup, well ahead of time. Premier League stars Maty Ryan and Aaron Mooy also return after missing the recent clash against Kuwait. This squad is solely to take on South Korea, with Arnold to name a new squad for the clash against Lebanon on November 20 - when Tim Cahill will be included for one final hurrah in the green and gold. Young gun Daniel Arzani is not included after sustaining a devastating ACL tear on his debut for Celtic last week. "We made some great progress in Turkey in September, as well as in the United Arab Emirates and Kuwait last month," Arnold said. "However, this window will be exceptionally important for us as we have only had 15 days to work together as a team on the training pitch. "In training, and in our friendlies against Korea Republic and Lebanon we will be looking to introduce more players to the Socceroos system and reward a number of locally based players for their performances in the Hyundai A-League and FFA Cup." 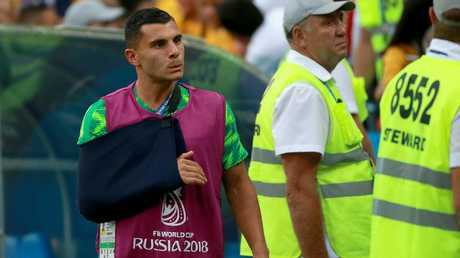 Andrew Nabbout returns to the Socceroos squad well ahead of time after suffering a shoulder injury at the World Cup. "With limited opportunities and matches to prepare for next year's AFC Asian Cup it is important that we make the most of every day that we have together, and by calling in additional train-on players from Hyundai A-League clubs this will ensure that more players are exposed to our style and standards as we edge towards the tournament. "Several players who have been in and around the squad over the past 12 months, such as Andrew Nabbout and James Jeggo, will also be reintroduced to the group as we continue to add depth to the national team player pool." Watch the Socceroos take on South Korea (November 17) and Lebanon (November 20) live on Fox Sports.